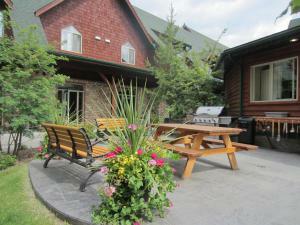 When would you like to stay at Blackstone Mountain Lodge by CLIQUE ? Fully equipped with a kitchen and dining area, this apartment offers 2 bathrooms and a lounge area with fireplace. Free Wi-Fi and a flat-screen TV are featured. Laundry facilities are included. Fully equipped with a kitchen and dining area, this apartment offers a lounge area with fireplace. Free Wi-Fi and a flat-screen TV are featured. Laundry facilities are included. Free Wi-Fi and a flat-screen TV are featured in this room. A desk is included. This apartment has a balcony, air conditioning and dining area. This apartment features a balcony, DVD player and patio. Guests are required to show a photo identification and credit card upon check-in. Please note that all Special Requests are subject to availability and additional charges may apply. Please note that housekeeping is done every 4th day during extended stays. Please contact the hotel for more information. 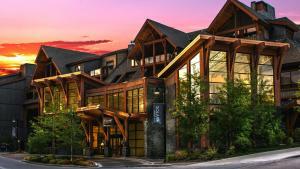 Each day we'll check prices and send you an email for your selected dates at Blackstone Mountain Lodge by CLIQUE. If you don't have specific dates but would like to check prices for say next weekend or say next month we can check the price too. Click to write a review and share your experience of Blackstone Mountain Lodge by CLIQUE with other travellers.